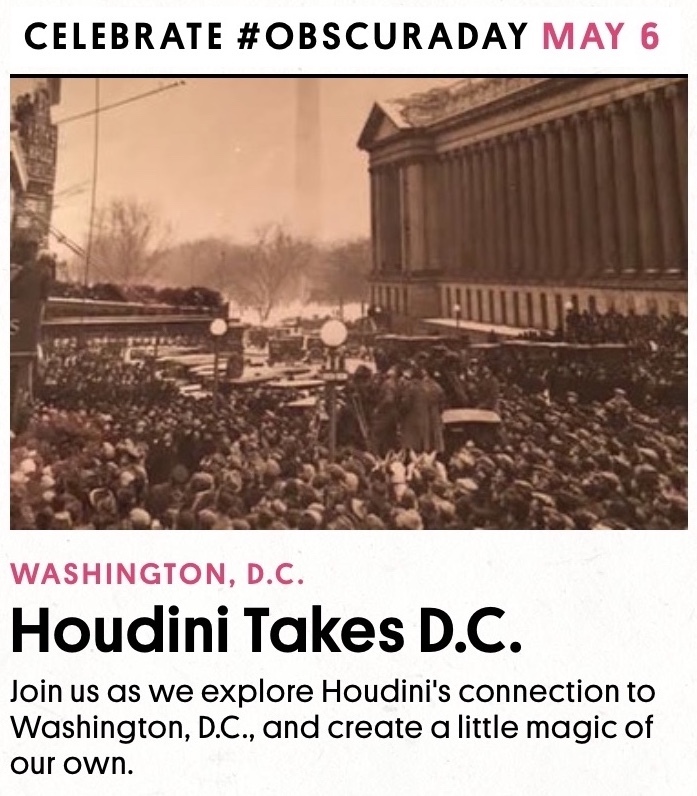 Just a reminder that a special Houdini event is taking place from 4-6pm today in Washington D.C. as part of Obscura Day 2017. 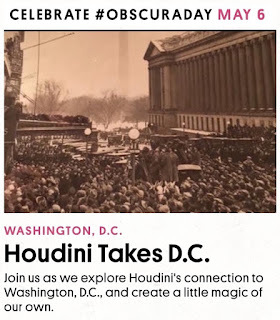 "Houdini Takes D.C." features a lecture by Houdini collector Ken Trombly and a performance by Dean Carnegie. Join us at Tivoli's Astounding Magic Supply Co., nestled inside the historic Tivoli Theater, where we will delve into the collection of Ken Trombly, attorney, magic enthusiast, and Houdini collector. In an interactive presentation, Trombly will illuminate Houdini's rise, legendary performances, crusade against spiritualism, death, and the rumors of his return from the great beyond. Tickets are $35 and can be purchased at the Obscura Day 2017 event website (sale ends in 5 hours). UPDATE: Dean Carnegie now has a report on the day at his blog: HOUDINI Takes DC 2017.